Please note that a number of existing officers are not standing for re-election, so all members are asked to consider whether they would consider standing for any of the committee roles. A brief description of the current committee and their roles can be found in the Contacts section of the club website, but any member is invited to discuss their potential interest with the chair or any of the existing committee. Note 1. 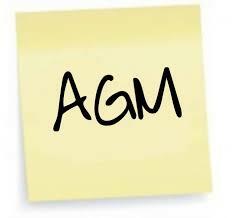 The minutes for the 2016-17 AGM have been posted on the noticeboard in the Clubhouse and can be found on the club website or via this link. Note 2. The Committee is proposing to update the Constitution to formalise the role of Trustees, who are required to sign the lease for Southcote Park on behalf of the Club. The proposed new wording has been posted on the noticeboard and is available for review on the club website or via this link.